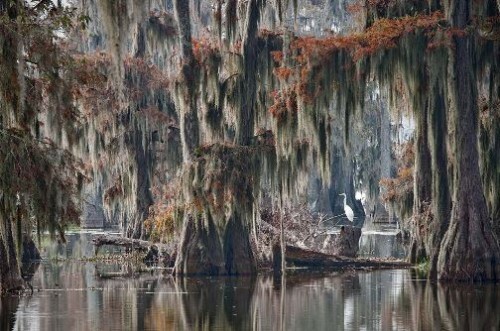 Caddo Lake with world largest Cypress forest is located on the border between two states – Texas and Louisiana, the USA. The beautiful lake was named after the Southeastern culture of Native Americans called Caddoans or Caddo, who lived in the area until their expulsion in the 19th century. 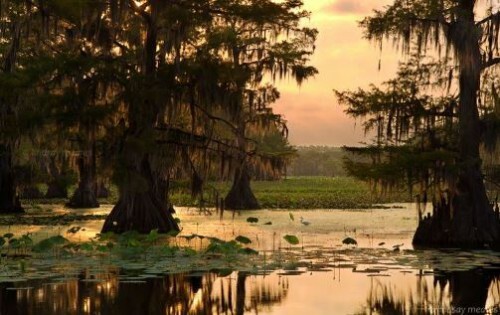 Since 1965, Texas Caddo Lake has had hundreds of alleged Bigfoot sightings, according to the Texas Bigfoot Research Center. 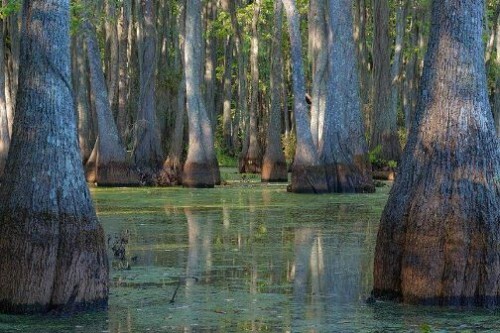 The area of the lake is a protected as the place where grow the largest Cypress forest on the planet. According to Caddo legend, which is more truth than legend, the lake was formed by the 1812 New Madrid Earthquake. Most geologists think that Caddo Lake was formed gradually rather than catastrophically. Impressive Cypress trees, especially those that are growing in swamps, often have special formations, which are called “cypress knees”. They are appendages resembling hemp, but growing directly from the roots of a tree. Buttressed bases and a strong, intertwined root system allow them to resist very strong winds; even hurricanes rarely overturn them. The bald cypress has been the official state tree of Louisiana since 1963. It is considered to be a symbol of the southern swamps. Cypress trees can be used in the making of shingles. Joshua D. Brown, the first settler of Kerrville, Texas, made his living producing shingles from cypress trees growing along the Guadalupe River of the Texas Hill Country.